Welcome to Fox Den and Owl Nest! Children in the Pre-K rooms are from around 4 years to Kindergarten. Fox Den is younger Pre-K and Owl Nest is older Pre-K.
Our ideal child-teacher ratio is one teacher for every eight children. We focus on fostering kindergarten readiness with creative activities and lessons that set the foundation for success in school. Our Fox Den and Owl Nest kids are becoming bigger, faster, more independent and their teachers are ready for the adventure. Our Pre-K kids are writing, telling stories, performing puppets show, creating fabulous works of art, singing, dancing, being silly, doing wild, messy science and generally trying out their new-found independence. The children are practicing life skills such as problem solving, using good manners and serving themselves at mealtime. They are also working on communicating with friends and getting themselves ready to go outside. We work with them on pre-reading and reading skills at their own pace, as well as early writing skills. We help them discover math and science concepts while giving them a safe and stimulating place to play and explore as they continue on their journey of becoming life-long learners. The Owl Nest kids are well-prepared for kindergarten, with plenty of time spent on reading skills and letter and number comprehension. 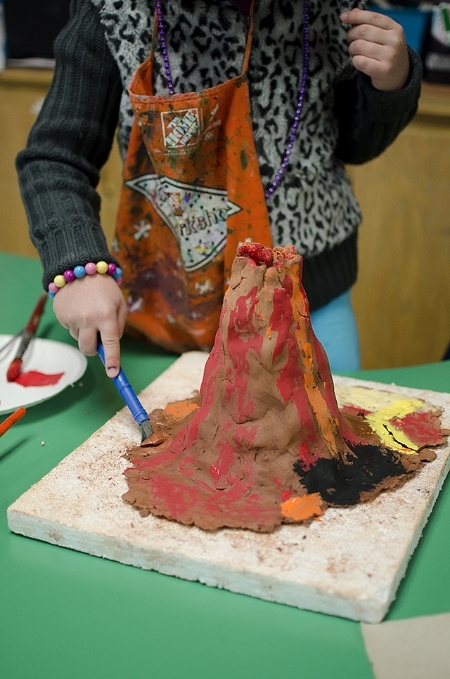 Hands-on learning sparks the imagination of our Pre-K students. The Pre-K classrooms include space for all the projects that will prepare our students for success in school--without sacrificing fun! Music, art, reading, math, writing...every day brings a new way to engage our students.